Good antenna? But, simple to build? YES! Why bother with antenna?! Note that antennas are most important things for every transmission and reception. 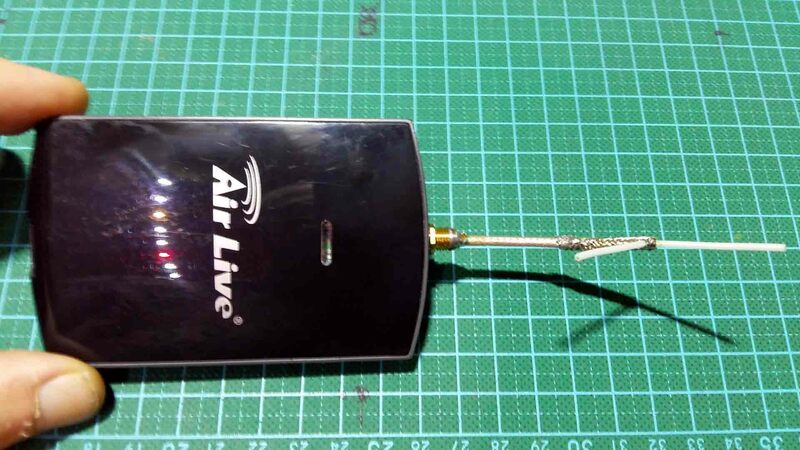 Aside use for quad-copters, airplanes and other flying bests, it works extremely well on WiFi Router/Client. On Router put “straight” or slightly angled dipole as is described on video as antenna for quad-copter, and for client – which may require some directionality – the “V” shape antenna is the best option. The only difference which is not covered in this video is use of proper SMA connector. On quad and remote, I just soldered antennas at proper pins, while for WiFi – it is good to chose proper SMA or RP-SMA (Reverse Polarity SMA) connector, depend of where it is intended to use. I strongly recommend use of RG316 coaxial cable, which is bit thicker than RG178, and has lower attenuation. It is your choice. SMA Female Jack To RP-SMA Male Jack RF Coaxial Adapter Connector is the best, yet cheap connector for this purpose. Does not require crimping tools, but require patience and soldering iron. First solder center wire of the coax into hole, then put some glue to prevent short circuit. After glue (epoxy 2-component for example) cures, solder braided part of the coax all around. This way it is secured electrically and mechanically, while maintaining good properties of the antenna and low attenuation. I know. It is bit tricky and require patience. In the case of very thin cables, it is even more difficult. In this case, you may consider to do next trick: do everything as above, but instead moving inside-out braided part, leave 1-2 millimeters of this part so that additional part can be cut out from other piece of cable. Then move it from opposite end, until this 1-2 mm overlaps, then solder it carefully. This is maybe easier way to do this. Enjoy in such great antenna!